Congratulations on choosing Elon! On behalf of the Epsilon Delta chapter, we welcome you! You have made one of the best decisions you will make in your next four years and can not wait to see all you will do with your time at Elon. Choosing to go through recruitment is a great way to meet friends, become more involved on Elon's campus, and give back to the community. Elon University runs on a "deferred recruitment" schedule, which means recruitment does not happen until after Winter Term. All who meet the panhellinic requirements of "rush" may partake in the recruitment process. To find out more information regarding Elon's recruitment process, please check out the University page. Each year, Tri Delta looks for fun, genuine and passionate girls to join our sisterhood. Going through the recruitment process is the best way to see if sorority life might be a fit for you. Registration is now open! The application can be found on PhoenixCONNECT. 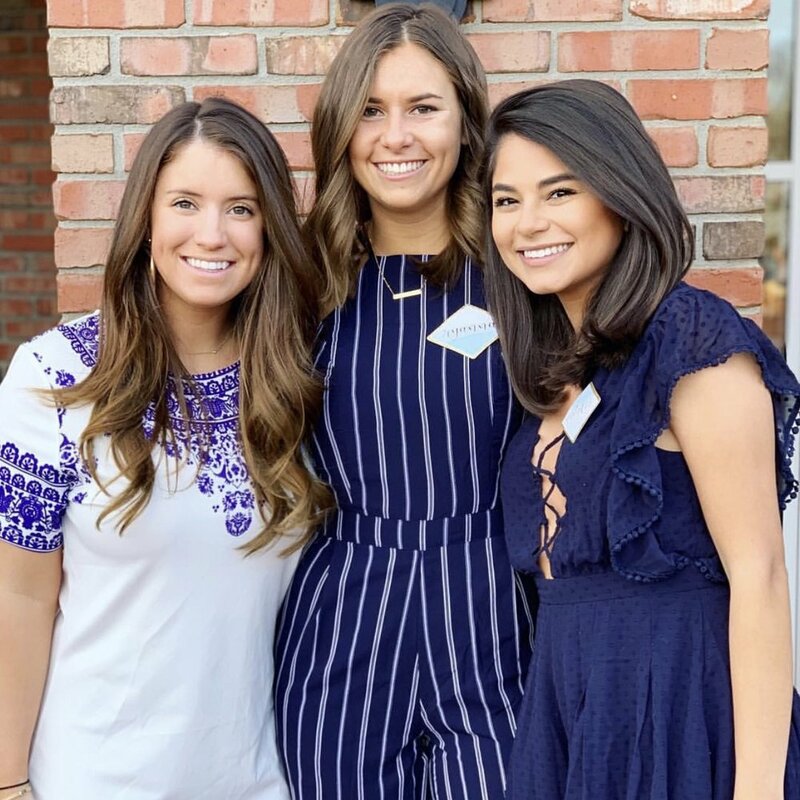 We look forward to meeting you in recruitment 2019! * If you are a Tri Delta Alumna, and are interested in writing a reference for a potential new member, please click here. Otherwise, references can be mailed to Reference Chairman, Alex Bendavid, at 5372 Campus Box, Elon North Carolina, 27244.